EPA 25 MPG Hwy/19 MPG City! Select trim. 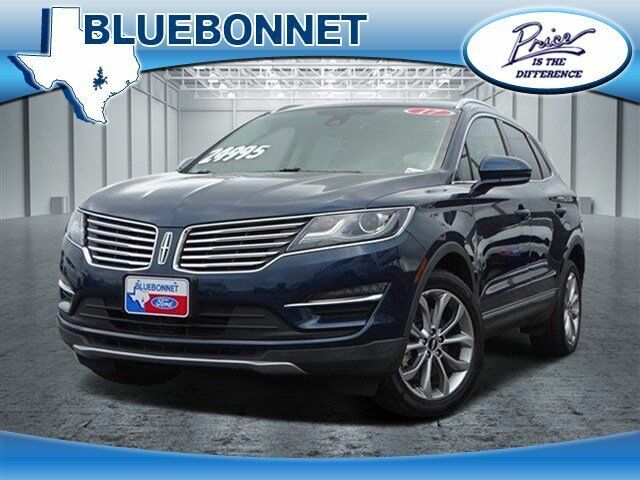 Navigation, Moonroof, Heated Leather Seats, Power Liftgate, Turbo Charged, Back-Up Camera, All Wheel Drive, Aluminum Wheels, THX II BRANDED AUDIO SOUND SYSTEM, PANORAMIC VISTA ROOF CLICK NOW! Leather Seats, All Wheel Drive, Power Liftgate, Heated Driver Seat, Back-Up Camera, iPod/MP3 Input, Onboard Communications System, Aluminum Wheels, Remote Engine Start, Dual Zone A/C, Smart Device Integration, Brake Actuated Limited Slip Differential, Heated Seats, Heated Leather Seats. Rear Spoiler, MP3 Player, Privacy Glass, Keyless Entry, Remote Trunk Release. PANORAMIC VISTA ROOF, ENGINE: 2.3L GTDI I-4, SELECT PLUS PACKAGE: Blind Spot Info System w/Cross-Traffic Alert, Navigation System, pinch-to-zoom capability, SiriusXM Traffic and Travel Link, Service not available In AK/HI, THX II BRANDED AUDIO SOUND SYSTEM: 14 speakers, HD Radio, LINCOLN MKC CLIMATE PACKAGE: Heated Steering Wheel, Heated Rear-Seats, Rain-Sensing Wipers, Windshield Wiper De-Icer, Auto High Beams. Edmunds.com explains "On long highway journeys, the MKC feels smooth and relaxed. And thanks in part to a standard active noise-cancellation system, it's also very quiet.". Great Gas Mileage: 25 MPG Hwy.